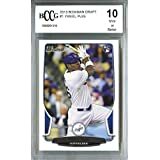 Yasiel Puig. Yasiel Puig Valdés (born December 7, 1990), is a Cuban born right fielder currently signed with the Cincinnati Reds of the National League (MLB). 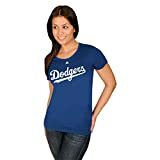 He came up with the Los Angeles Dodgers. His nickname is "The Wild Horse," given to him by former longtime Dodgers broadcaster Vin Scully. Puig is the all-time leader in postseason appearances for the Dodgers with 58. Yasiel previously played for the Cuba national baseball team in the 2008 World Junior Baseball Championship, winning a bronze medal. He defected from Cuba in 2012, and signed a seven-year, $42 million contract with the Dodgers. He made his MLB debut on June 3, 2013. 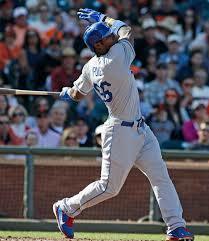 In 2013, Puig hit .319 in 104 games with 19 home runs, and was selected by Baseball America to their annual "All-Rookie team". That same year, the Dodgers assigned him to their Arizona Rookie League team where in nine games, he hit .400 with four homers and 11 RBI. On August 13, 2012, the Dodgers promoted Puig to the Rancho Cucamonga Quakes of the Class A-Advanced California League. He played in 14 games with the Quakes and hit .327. 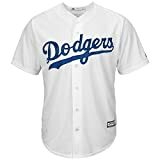 After the Quakes season, he was scheduled to join the Mesa Solar Sox of the Arizona Fall League, but a staph infection in his right elbow required surgery and sidelined him for several months. After the infection healed, he opted to play winter ball in Puerto Rico to keep his development on schedule. He had a very strong spring training with the Dodgers in 2013, hitting .526 in the Cactus League causing some to speculate that he might break camp with the Dodgers. That wasn't to be. Instead, he was optioned to the Chattanooga Lookouts of the Class AA Southern League. He hit .313 with 8 homers and 37 RBI in 40 games for the Lookouts. 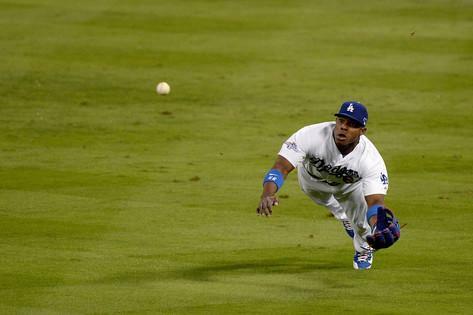 On June 2, 2013, the Dodgers announced that they had recalled Puig from Chattanooga. He made quite a splash. In his debut on June 3, he went 2 for 4 and showcased his strong arm by recording an outfield assist on a double play to end the game. In his second game, Puig hit two home runs, a double, and drove in five runs. 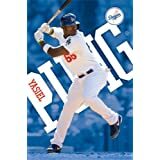 He became the first Dodger ever to have a multi-homer game in one of his first two appearances.1 For Puig's career stats, click here.